Sky Lakes Medical Center, a community-owned, internationally accredited acute-care hospital located in Klamath Falls, Oregon, is the only hospital in a 10,000-square-mile area in south-central Oregon and northeastern California. Sky Lakes combines small-town charm and neighborliness with big-city medical expertise in our main facility, which is licensed for 176 beds, at a variety of primary care and specialty physician clinics, and a home health agency. 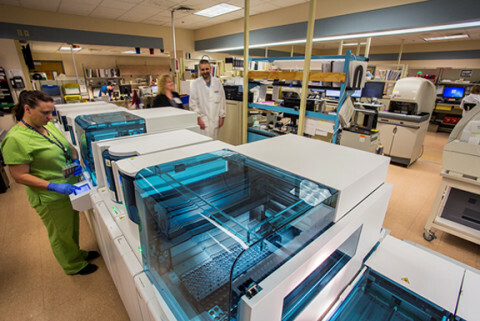 The medical center family also includes the award-winning Sky Lakes Cancer Treatment Center with its state-of-the-art radiation treatment suite, the Center for Total Joint and Spine Care, and Cascades East Family Medicine Residency. The joint-care program was the first on the West Coast to be designated as a Center for Advanced Recovery by Stryker Performance Solutions. The local community widely recognizes Sky Lakes as a leader in social and economic issues as well as in the healthcare industry, and Sky Lakes routinely invests in projects and partnerships to help the community thrive. 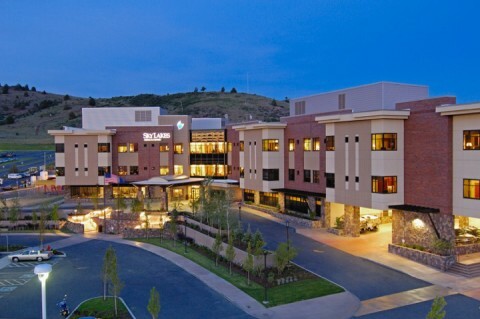 For example, recognizing that people who live in rural areas face unique challenges of distance and terrain when it comes to health care—and so do their healthcare providers—Sky Lakes worked closely with Oregon Health & Sciences University to bring to Klamath Falls the OHSU Campus for Rural Health located in the Cascades East building. The OHSU Campus for Rural Health brings together local providers with dentistry, nursing, pharmacy, physician assistant and medical students in rural settings to better learn about healthcare in a rural setting. Working in teams enhances students’ educational and clinical experiences, and having these teams learn and serve in local communities has the potential to increase the number of graduates who will work there. Joyce Hollander-Rodgriguez, MD, a graduate of the Cascades East program, is the regional associate dean of rural health for OHSU’s Klamath Falls-based rural campus, the so-called “hub” for rural medicine in Oregon. Sky Lakes also has invested in an assortment of programs intended to help the community be healthier. In addition to hosting smoking cessation classes and organizing the Sky Lakes Wellness Center, Sky Lakes played an important part in bringing the Blue Zones Project to Oregon — Klamath Falls is the state’s demonstration community – and actively promotes many of the key concepts of healthier lifestyles. During its 50th anniversary celebration in 2015, Sky Lakes helped the community in other health-related ways by providing funding to enhance city parks and the municipal swimming pool; contributing resources to help build hiking trails and consolidate social service agencies on a centrally located site; and provided leadership to help create a protected bike lane between downtown and Moore Park.